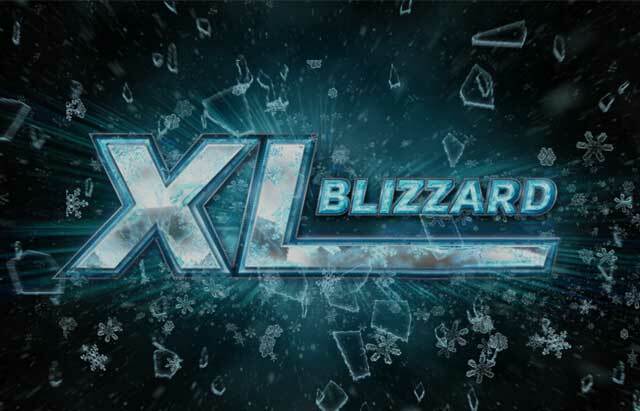 Day 2 of 888poker’s winter tournament series, XL Blizzard, took place on Friday as the online site offered up a pair of $20,000 guaranteed tournaments. The twin tournaments, one dubbed the “Royal” and the other “Flush”, both smashed their guarantees, allowing a total of 12 players to notch four-figure cashes and give everyone a chance to accumulate leaderboard points in the pursuit for entry into the Champion of Champions tournament. Event #4, the $20,000 Twins Royal, contest ended up as the slightly larger event of the two tournaments held on Friday. With 463 runners and 130 rebuys, the field generated a prize pool of $29.650 and a first place prize of $5,633.50. PocketFiver ’nU3DOC’, Greece’s #12-ranked grinder, was the first to fall at the final table, bowing out in ninth place for $492.19. He was followed by ‘OscarSJS’ and ‘WarnerBrosss’. At that point, the final six players had locked up no less than $1260. After ’69Ways’ busted in sixth place, Malta’s ‘Gugulehtu’ edged closer to $500,000 in lifetime earnings with his fifth-place finish for $1,630.75. Ivan ‘ivanascasubi’ Vilchez, a former Worldwide top 50 ranked player from Argentina, finished in fourth for $2,312.70. In the end, Russia’s ‘Pasha813’ defeated ‘vampa500’ heads-up to take home the win and title of XL Champion. ‘Pasha813’ earned the $5,633.50 first place prize, an amount that would be the largest XL Blizzard cash of the day, as well as enough points to catapult him into an early fourth place on the XL Blizzard tournament leaderboard. For his runner-up finish, PocketFiver ‘vampa500’ earned $4,151, the largest online cash in his career. He also finds himself in a good position through the first five events, sitting in fifth place on the Champion of Champions leaderboard. While Sweden’s ‘youpornwnker’ didn’t earn any money in this tournament, he did earn a spot in the “Bubble of Bubbles” tournament and will get a shot at the Crazy Eights World Series of Poker prize package. Other notable finished in Event #4 include Chris ‘888Moorman’ Moorman in 36th place for $163.07 and popular Twitch streamer Courtney ‘courtiebee’ Gee who finished in 20th place for $177.90. Even though both events started at the same time, Event #5 the $20,000 Twins Flush drew slightly fewer players and therefore took a little less time to hit the final nine. Just before the hour six break, the table was set for last of the 434 runners to play for the bulk of the $28,400 prize pool. After ’Openpunks’ busted in ninth, PocketFiver ‘ob1wahn’ added to his over $1.2 million in lifetime earnings when he finished in eighth and banked $639. Right behind him was India’s Sharad ’Sharadrao’ Rao who collected $923 for seventh place. Just like in Event #4, the final six were all promised at least four-figures for their $55 buy-in. Malta’s ‘Gugulehtu’ was the first to cash in on that promise as the PocketFiver took sixth place and put his $1,207 prize toward his pursuit of $500,000 in lifetime earnings, a mark he’s now roughly only $35,000 away from. The bustouts continued with ‘HotSauce86’ (fifth), ‘edyvpakistan’ (fourth) and ‘dimdaf’ (third) leaving Germany’s ‘Jamasutra’ to battle Russia’s ‘Ao1ing’ for the title. ‘Jamasutra’ ended up with the win and just under $5,400 for his efforts. On the other hand, while ‘Ao1ing’ came up just short of the victory, it was his second final table in as many days. In addition to the $3,976 payday, he finds himself taking the early lead in the XL Blizzard Leaderboard, sitting in the top spot, edging out yesterday’s top money winner Jans ‘Graftekkel’ Arends. ‘AKallinAA’ also nabbed himself the dubious distinction of being labeled the ‘bubble boy’ for this tournament and, like those ‘bubble boys’ before him, will get a ticket to the second chance tournament.